The last few years has seen an uptick in racist and discriminatory behavior throughout our nation. It has even infiltrated our Beachwood Bubble. Hatred has trickled down from the leaders of our nation’s government to our own community. For example, at the Sept. 21 football game against Perry, racist comments directed towards hard- working athletes showed the lack of compassion and unity that persists in our society. We take pride in our community’s ability to address these comments and continue to encourage a caring and inclusive environment. However, we cannot wait for someone else to fix our problems. Some students may feel that political issues have no significant impact on their lives, that we are untouched by the fine print of bills passed by our Congress or by our state legislature. Many continue to wait for someone else to handle it, for someone else to take action. The Thanksgiving Assembly held on Nov. 19 spotlighted students using their voice to express their opinions on current issues, from holding canned food drives to raising awareness about mental health. Junior Lena Leland organized and held Herd Against Hunger at BHS on October 14, where the Beachwood community broke the world record for the longest line of sandwiches made to be donated to soup kitchens, shelters, and other organizations nearby. The recent student-led Herd Against Hate forum was a great first step to channeling the thoughts, worries and questions of our student body into a constructive discussion. Students and staff members organized the forum and showed that we can only come closer to understanding one another by facing current issues head on, not brushing them aside. At the forum, students expressed the need to stop placing each other into exclusive groups. There was a call to erase the harsh boundaries of cliques in our school. Instead of dividing based on differences, we should be connecting based on all that we have in common. This must include communicating and listening to one another. Senior Jing-Jing Shen created the You Matter Mural to increase awareness for mental health and encourage a supportive environment in school. The BHS Mental Health Committee additionally wrote positive messages to tape on every student’s locker throughout the entire school. 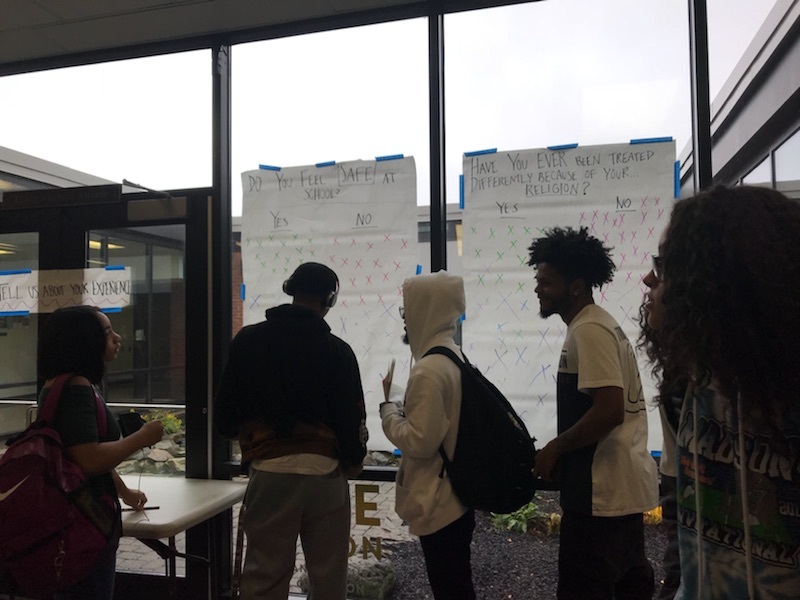 Beachwood has thus accomplished a lot this year because of ambitious students who are driven to make a change in their community and encourage discussion and unity. You don’t have to agree with another person’s perspective to have a meaningful and open dialogue with them. You can understand a peer’s beliefs without sharing that belief. Ignorance begets racism and racism begets ignorance, a cycle that is more vicious today due to our lack of meaningful connection and communication between people different from ourselves. The Internet puts international news at our fingertips, opening us up to a more global society. But this constant cycle of news across our feeds has the potential to numb us to tragedy because of its frequency. It has become difficult to slow down and try to understand what an opposing voice is saying. We will continue to encourage discussion among BHS students, a few hundred teenagers in a small suburban town in Ohio. When we learn to listen to one another, we get one step closer to bridging the apathetic gap between opposing views in our society. We must continue to work to end ignorance and to understand one another.